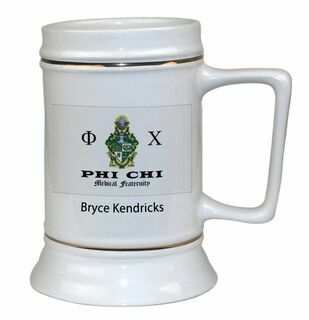 This is the place to be if you need Phi Chi Clothing, Merchandise, T-shirts & Gifts for yourself or another person in your life. We've segmented this page into specific categories for your convenience -- just click the "Jump to Next Section" button and start shopping! 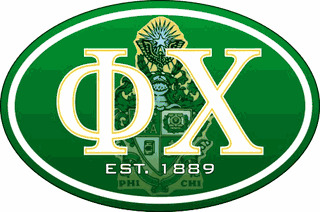 Since 1889, your fraternity has been "First to Serve" the community and its members. 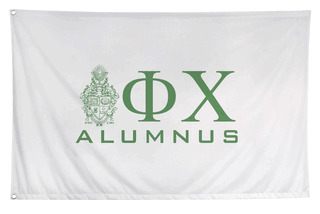 As you continue that tradition this year on your college campus, ensure that you and all of your fellow members are geared up with plenty of Greek paraphernalia. 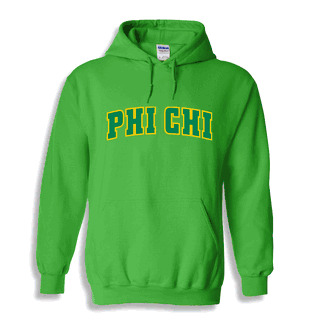 In this section you'll find some of our most well-liked items, including the Printed Fraternity Greek T-Shirt (looks great with a pair of khaki shorts), the Phi Chi Baseball Cap and a variety of Hoodie Sweatshirts with your letters emblazoned across the front. 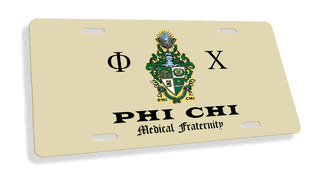 We also carry awesome items for your car and your dorm room, like the License Plate Frame, which features both your letters and the full Greek name of your organization. Even if you don't have a car on campus yet, you can hang this frame up over your bed for a nice touch! 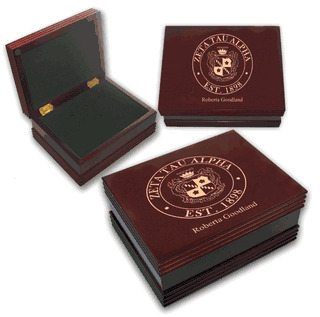 Then we have a nice selection of Jewelry for Phi Chi members, including lavalieres for a sweetheart and watches that are classy enough to wear to major formal affairs. 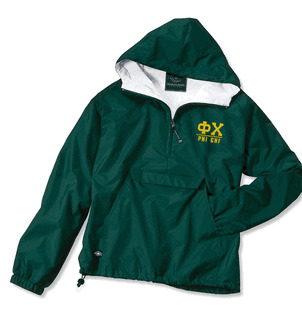 We make it so easy to order custom Phi Chi Clothing, Merchandise, T-shirts & Gifts for members of your group. Keep in mind that bulk discounts apply to many of our items, so you can buy for everyone in your group and save a load of cash!! 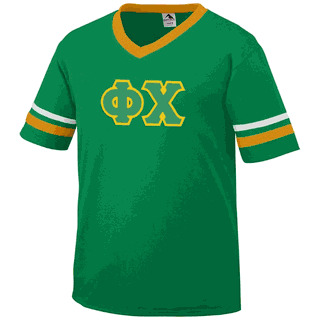 Contact the GreekGear.com team if you need help creating a very special order for you and your fellow members. 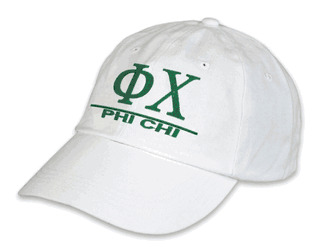 Phi ChiThe Greatest Selection. Period.